Best in Class sales organizations have several common characteristics. They have a well crafted strategy, hire the right people, have a sales process that mimics how customers buy, continuously sharpen their sales skills, mentor and coach to a standardized sales methodology, manage to metrics and they enable everyone with technology. The benefit of this approach allows their sales professionals to spend more time in front of customers. This makes them more effective and more efficient. Best in class sales organizations create opportunities and execute effective customer interactions, develop differentiated strategies to win complex selling opportunities and then manage their accounts for retention, referral and repeat business. They have sales funnels that are balanced and filled with quality opportunities and an appropriate volume of potential business. For them revenue generation is consistent, repeatable and sustainable. Honing sales skills is a continuous process and one that never stops. Best in class sales organizations view this as fundamental to their success. The buying process-the series of steps that buyers go through to becoming a customer. The selling process-the series of steps that your sales organization goes through from lead generation through close or re-order. What company resources are required at each step? The typical length of time for each step. The human resources available at each step. We provide detailed feedback on how to improve your current processes in order to improve your market position. 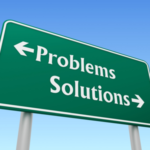 Are you experiencing any of the following problems in your organization? Your revenue numbers were under plan this month or quarter-again! You constantly wonder whether you are going to make plan. Your sales forecast changes frequently. You lose deals late in the sales funnel. You lose too many deals. Many of your deals stall for no apparent reason. Your sales cycle has increased. You have no sales funnel metrics that give you visibility and allow you to measure performance by sales representative. 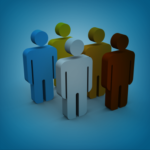 Failure to identify a key stakeholder is one of the primary reasons a sale is lost. 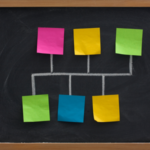 Stakeholder mapping is a fundamental and foundational exercise that should be done by marketing prior to any new product release and then updated periodically. The information should be supplemented with buyer personas and the buy-sell process. The more information sales representatives have about their stakeholders, the better prepared they will be to formulate an effective strategy. A savvy seller will determine each stakeholders role in the decision making process, their desired benefits, the frequency of communication and the degree to which each stakeholder is likely to support the proposed solution or contest it. These are the building blocks of a winning sales strategy. Our EBook provides a simple tutorial of the six essential steps that must be completed to conduct stakeholder mapping and analysis. We also offer a workshop and/or consulting that allows this exercise to be completed in a structured and formalized manner. Are descriptive overviews of the people who buy, or might buy, products like the ones you sell. They go beyond demographics and define psychographic criteria such as behaviors, motivations, priorities, business concerns, traits, success factors etc. They are comprised from information gleaned from interviews, direct observation and the use of social media. They are crafted with skill and insight with the end result being that you understand the world through the buyer’s eyes. This allows you to understand and reach the buyer on a personal level. Understanding buyer personas is important because buying decisions are driven by emotional factors then justified by rational factors such as product attributes and pricing. Any number of subjective factors can distort the process: business politics, conflicting priorities, past experience with your firm, you name it. We can help you develop buyer personas for every buying influence that is involved in the purchase of your product, service or solution. In the hospital environment what is important to the physician is different than to the nurse caring for a patient, risk management, bio-medical engineering, the supply chain officer, and the C-suite. Healthcare purchasers are seeking containment for rising product costs and they want improved quality through better patient outcomes, safety and patient experience. With a heightened sensitivity toward reducing escalating costs especially amongst physician preference items the hospital C-suite is demanding that more emphasis be placed on the financial and strategic value than clinical value. The mantra today is “In God We Trust…All Others Must Bring Value and Be Able Prove It! 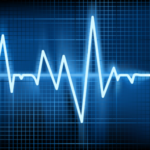 Within healthcare there are three types of value: Clinical Value, Financial Value and Strategic Value. Some examples of each are shown below. Many medical manufacturers, distributors and pharmaceutical companies can discuss value but few can prove it in a manner that is defensible, measurable and compelling to the buying influence who is the final yes in the decision making process! Understanding value and proving it poses unique challenges to many medical manufacturers, distributors and pharmaceutical companies who have been used to approaching a physician or department director and showing them a new product and have them issue a purchase order. Those days are long g one in most hospitals and they will be in all shortly. We understand how hospitals function and make decisions because we have managed them. We can help you navigate the complexities of RFPs, supply chain management, value analysis committees, the C-Suite and outside influencers such as their GPO or IDN relationship, ECRI, MD Buyline and others. The opportunity is in the funnel; it’s for significant dollar. The competition is stiff. It’s also one that you cannot afford to lose. A loss could mean you won’t make plan. 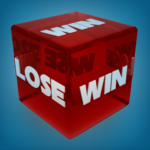 For our clients selling into the medical industry we offer Must-Win Deal Reviews™. In this engagement we discuss the opportunity and offer specific insight and expert opinion into the buyer personas, decision making process and best practices of all of the buying influences. When you need someone to help you navigate around the danger zones and improve your chances of winning the deal call us. We have lots of testimonials we can share with you.